Dailybuzz.ch: Jeremy Meeks Killed, HOAX: Dies, and Wife ‘Lashanda Meek Killed Him 1 Hour After Being Released’ Huzlers Article Totally BOGUS! Jeremy Meeks Killed, HOAX: Dies, and Wife ‘Lashanda Meek Killed Him 1 Hour After Being Released’ Huzlers Article Totally BOGUS! An article saying Jeremy Meeks, whose “handsome” mugshot went viral last month, was killed by his wife is nothing more than a HOAX. The fake article has a few thousand shares and “likes” on Facebook as of Wednesday night. On Twitter, a number of users reacted to the fake article, apparently believing it. According to E! Online in a report last week, Meeks appeared in court in a jumpsuit. 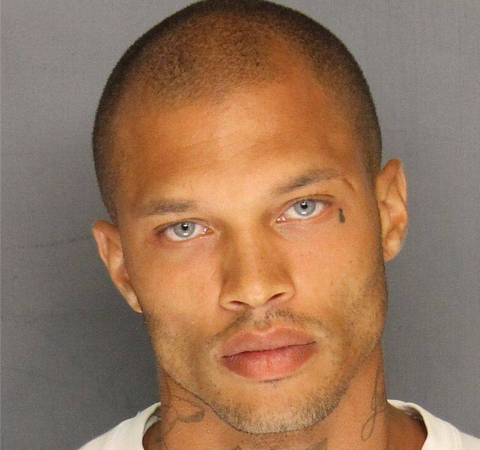 Meeks is facing one charge, which is a felon in possession of a firearm. He faces as many as 10 years in prison and a fine of $250,000. He was arrested as part of a Stockton gang sweep in June.